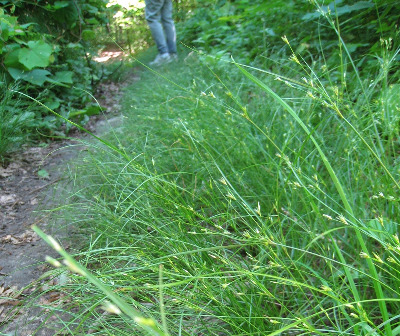 Widespread in dry to moist ground, especially along roadsides, trails, ditches, gravel pits, etc. ; on shores and less commonly in peaty areas; in open forests, fields, and clearings. Care must be taken to find well-developed, unbroken auricles for distinguishing J. tenuis (and J. anthelatus) from J. dudleyi and the much rarer J. dichotomus. The sheath margins in J. tenuis are, like the auricles, white-hyaline and fragile. MICHIGAN FLORA ONLINE. A. A. Reznicek, E. G. Voss, & B. S. Walters. February 2011. University of Michigan. Web. 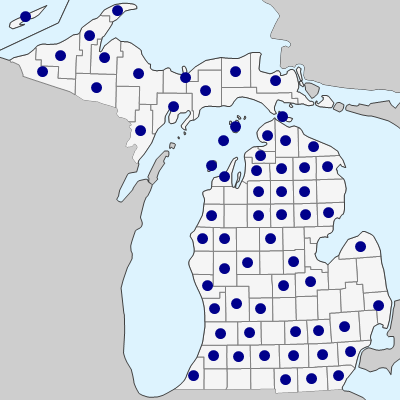 April 24, 2019. https://michiganflora.net/species.aspx?id=1522.